We may be closer to figuring out what’s affecting ​Markelle Fultz’s shooting from. According to his agent Raymond Brothers, Fultz has been diagnosed with Thoracic Outlet Syndrome, which has significantly ​restricted his ability to shoot a basketball properly. Fultz’s shooting technique has been heavily scrutinized since he joined the league and up until now it’s been unclear as to what has been causing his shooting forms to change so frequently. Thoracic Outlet Syndrome is often sports-related and has become an issue among MLB pitchers such as Matt Harvey, Tyson Ross and Josh Beckett. 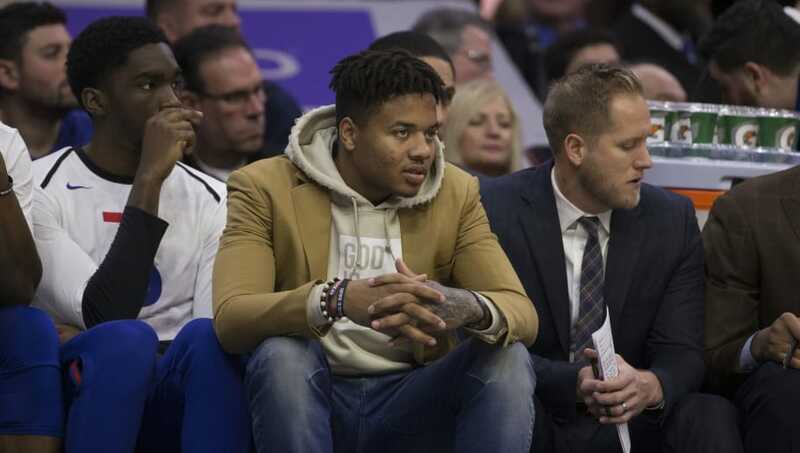 Thoracic Outlet Syndrome affects nerves between the shoulder and neck, but it is treatable with a fairly invasive surgery and/or rehab, so hopefully Fultz can get these issues fixed and get back on track and put all the drama behind him. While it’s said he’s out indefinitely, there is hope he could return in 3-6 weeks (if he doesn’t need surgery). The 76ers were hoping for him to be an integral part of their core when they selected him No. 1 overall in 2017, so now that his physical ailment has been determined, they could soon get what they need out of the young guard.